The short stories below don't belong to any series, but they're still fun reads! If you do read one of these stories and would love to read more in any of the worlds, please drop me a line and let me know. You never know, you might inspire me to write more! Drops of crimson and muttered incantations... the stories in this collection are Born of Blood and Spells. Stuck in her dorm room alone on a Friday night, Leah can't imagine her loneliness getting any deeper until she pops a new game into her computer... and gets sucked into it. 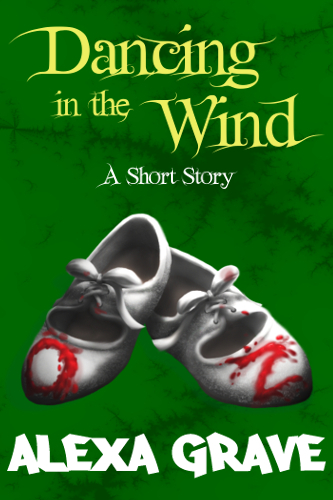 Trapped in a world of darkness and rain, she fears she'll never see another living soul again. Until she meets Zach. He may be the balm for her heart she�s been searching for, but fulfilling her wish comes with a price. Is she willing to pay it? Every book has a heartbeat. And some are louder than others. Leda loves her job as a college librarian - books are her friends, ones that take her to far off lands and who don't cheat on her like her last boyfriend did. But a strange incident with a student has her wondering if there's something more sinister about the books in this library. Of course, Leda can't confide in anyone about her suspicions - they'd think she's crazy. Is she crazy? Or does danger lurk in between the pages? 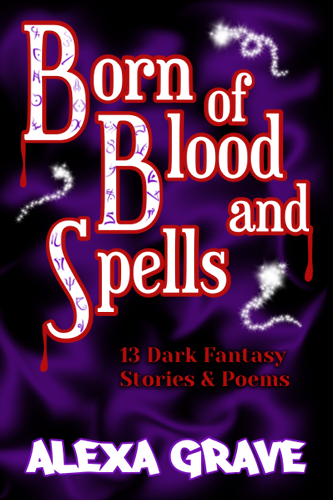 This story is also in the collection Born of Blood and Spells: 13 Dark Fantasy Stories & Poems. 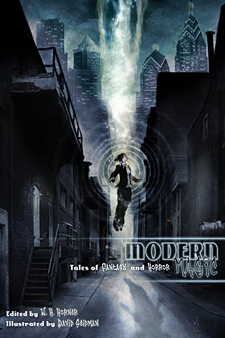 "Kindled Morphogenesis" in the anthology Modern Magic: Tales of Fantasy and Horror published by Fantasist Enterprises. Lost memories surface in Fiona's mind when her lover is murdered, but with the memories come flames that consume her heart and soul. Blublu scented candles can be found in this story, not to mention other alien surprises. If I said anymore, the description would be longer than the story. This mainstream story concerns a young Wiccan's trials with a Christian next door neighbor. It's not too serious though - humor is applied throughout.